Just picked it up from the dealer. it also has the multi-function chrome seat controls on the passenger door side, just with no memory. The 19 inch amg wheels are very nice. They are kind of a chrome-ish, metallic light grey.. they reflect the light and pop. Especially against the black body. Break disks also look bigger and are perforated in the front with large perforated grey calipers that read mercedes benz. Car rides great, and much more sporty and nimble than my e350. And I am sure this will only get better as the engine, transmission and tires all break in. MB-text looks very nice in black. Drivers seat has a thigh extension piece that I did not expect. Top stitched dash and doors very nicely done. it was the first thing my daughter noticed. Linden wood is darker (actually its dark), but beautiful. And looks like wood, not a copy. I have the air suspension. Very tight. Zero body roll, squat or dive no matter how hard you push. A quick jerk of the wheel for a lane change and it just moves to the right, no mushiness or delay or push. very little, in fact no, understeer as well. Sport is very stiff (have not tried sport+ yet). Comfort is smooth, but still stiff for sure. This car is not meant for some one who likes not to feel any bumps. it is European firm for sure. I agree with the above.. very powerful engine. Car feels light and jumps. Like the engine is not even straining. I have yet to push the pedal more than 1/2 way and it moves. very smooth and refined as well. Also, i like the exterior lighting.. small touch but when you unlock the car, lights comes on under the mirrors to light the ground. And all four door handles have lights (facing inwards i guess) that cause the handle wells to all glow white. It's dark and raining right now here in Boston, so i'll post some pictures tomorrow. With either sport package or interior package one can expect the chrome clad binnacles. 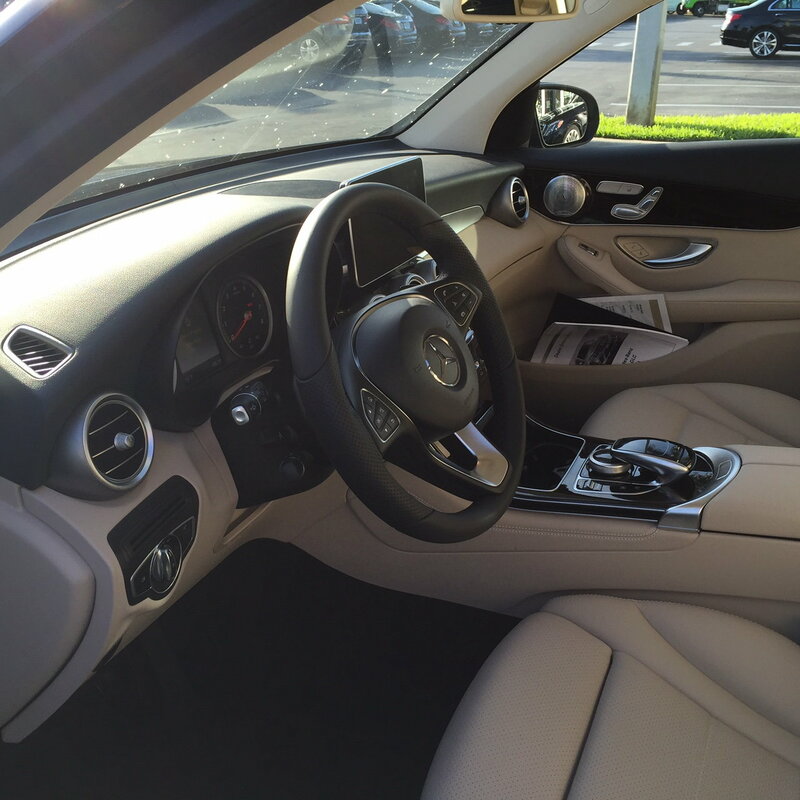 All GLC's will have power adjustable front passenger seats standard, but if one wants memory, it's a $430 option. Every GLC will have the adjustable thigh support standard on the drivers side. I didn't use the touch pad on my C much at first. Once you get the hang of it though, it's actually useful. That said, with the Multi-Media package, Voice Command accomplishes a lot of useful things simply by pushing a button on the steering wheel and speaking a command. I think the Burmester is a great system, and having the equalizer let's you adjust it to your personal tastes. Enjoy your new GLC and pics are mandatory! Last edited by rbrylaw; 12-01-2015 at 10:07 PM. Also.. looks like with the air suspension is sits a bit lower? I don't think this is correct, unfortunately. The video from Atlanta (see above) has the sport package but not the chrome binnacles. I am now thinking it's the Lighting package that triggers the binnacles, as that seems to be the common denominator. You could be right, but that's an odd trigger, don't you think? Last edited by rbrylaw; 12-01-2015 at 11:34 PM. Oh yes, I'm baffled. Also a bit annoyed; the configurator only shows the chrome binnacles, and the ordering guide never had any info suggesting different options here (btw, I will pick up my car next week). If you saw my edit above, it's not the lighting package either. It will be interesting to see how your car comes equipped. I just saw that; very interesting. Now I don't see any consistency. Look at your order for your car. See if says exclusive interior. On the cars for the EU it gives you the chrome binnacles. The base cars do not have them in the EU. I found this on the MB Ireland website. My build sheet did not say exclusive interior and I don't think there's any mention of this as an option in the MBUSA website. It would be nice to know what prompts a car to include the binnacles or not. Ours doesn't have them, and to my eyes, it's fine looking. It doesn't bother me either way, to be honest. 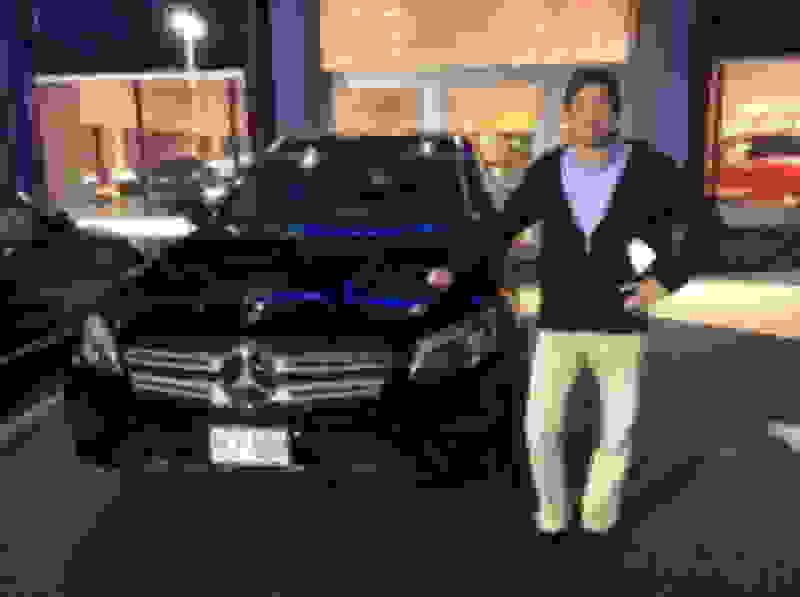 I got a 4MATIC. maybe that's it? As more and more get their GLC's we'll be able to figure this out. Right now, it's really a mystery. Seems odd that adding 4Matic would get interior binnacles, but then stranger things have happened. 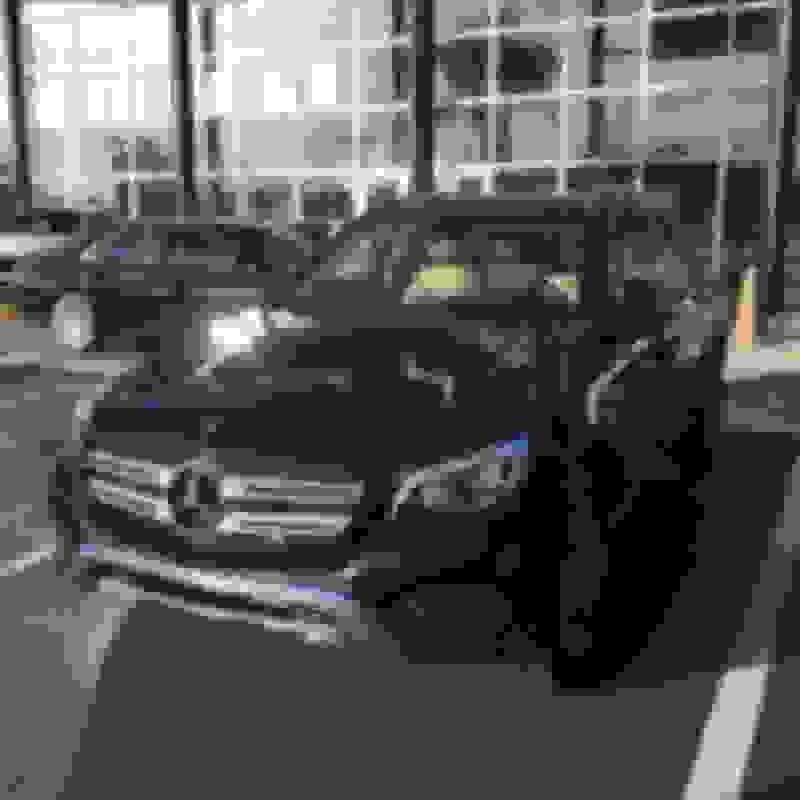 I looked through a bunch of pictures of GLC 4MATICs available at cars.com, and none of them had the chrome binnacles. In fact, I couldn't find a single one that did. Any of those have driver assist package? In the videos above the red one above has it. The grey one does not. (you can tell by the much larger hunk of plastic behind the rear view mirror. I have Drivers Assist. ... which, btw, I have in my order that I'll pick up next week. And so the mystery continues. It can't be whim at the time of build that some come with binnacles and some do not. There must be something that makes one GLC get them vs another not getting them. 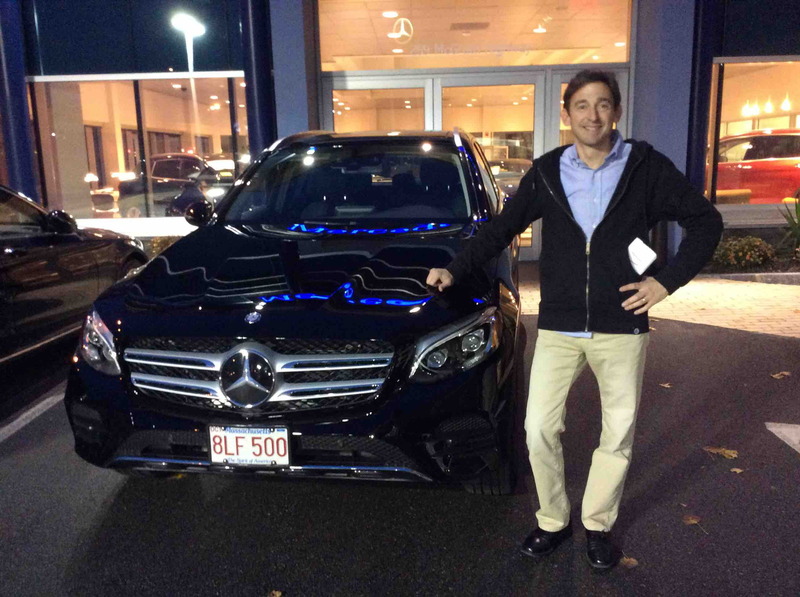 And if you go to MBUSA to build a GLC, the photo's are not a US spec GLC. And all options show the binnacles. So there's no help to be had there. Last edited by rbrylaw; 12-02-2015 at 04:59 PM. Yeah.. i think that could be it. BTW - drivers assist will blow your mind. The car literally drives itself - in stop and go, and on the highway. Steering wheel turns etc.. amazing even around sweeping turns. Its a very odd feeling at first ! So, my dealer got one GLC for the showroom over the weekend and I checked it out Monday (while still waiting for my "ship to come in"). The GLC they have is 4Matic, not leather interior, no driver assist, and did not have the chrome binnacles. By the way, it also had the R96 wheels (not the ones that are on the configurator). And yes, it was bigger in person than I thought. Perfect cabin space and headroom. Wow, I am so excited for when mine comes in. I am sure more people will get their GLCs before me, but when I get mine (this month), I'll update this thread. I got 4Matic and driver assist (and other options)....did not get sport package, no leather. Last edited by GSOTXL; 12-02-2015 at 05:43 PM. The car I drove that had binacles had park assist but no drive assist. It had leather and interior package. It also had command and premium as well as led. It was a 2 wheel drive. Non sport model. My build sheet says exculsive interior. So, maybe when I get my GLC it will have them? Last edited by DBV; 12-02-2015 at 07:28 PM. My build sheet says exculsive interior. So, may when I get my GLC it will have them? That's interesting. You probably will get the binnacles. I wouldn't personally get worked up if you don't. I didn't even notice we didn't have them until someone on this forum pointed it out from pictures I posted of our GLC. And the one large binnacle is actually cleaner looking to me. But the best news is the GLC is my partners car and he could care less. Whew! If it bothered him, I'd have a problem. Plus he got the R96 wheels, not the wheels on the website and he likes them too. But they're actually very nice looking wheels in their own right. What is the exact build of your car? Mine also has exclusive interior. I have ordered it with everything but sport and night package. But, doesn't the word "binnacles" belong with the word "barnacles"? A nautical or maritime sort of thing?